Cash has largely become a thing of the past, in favor of businesses who accept credit cards. There are still all cash businesses in existence, but they are becoming rarer as time passes. Businesses who provide customers the means to accept credit cards at a terminal often see a bump in business, just because it’s more convenient than carrying cash on one’s person at all times. Here are some of the ways that businesses can use these machines more effectively, in order to make their business more efficient. When you run a merchant account system, whether you use wireless credit card processing or not, your account typically comes with some built-in solutions for invoicing and reporting. If you have a feature called integrated processing, you’re in luck. You’ll be able to apply credit card payments to an invoice automatically, which saves your accounting significant time. Another advantage wireless and mobile credit card processing brings to businesses is the ability to check the status of your sales for the day. You can sign into a virtual gateway, and even create real-time reports within a few minutes. Reporting can become arduous, depending on the level of detail you want to delve into, so be careful you don’t get stuck in analysis paralysis. If you deal with businesses, you can quickly qualify a business card which will save a great deal in fees. 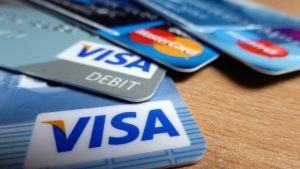 Many payment processors charge when a card comes up as standard or non-qualified. You should contact your credit card processor and ask for more information about how to classify these purchases. If you’re just beginning to shop around for payment processors, you’ve probably already run into EMV. Most likely, you’ve used it at your local super market to purchase groceries. It’s the micro chip now embedded on credit cards, which adds an additional layer of security to each transaction. It’s important, as a business owner, that you purchase equipment meant to use this type of payment. If possible, try and buy the unit upfront. The costs of doing so typically don’t exceed $300 per terminal, and you won’t have to pay monthly fees to continue using the equipment from your payment processor. Although, some payment processors do offer upgrade plans that may be worth looking into. The most important reason to utilize EMV is security. You don’t want to risk a hacker stealing information from a transaction you ring up, because there’s a chance you may be found liable if you could have prevented that from happening. Play it safe and opt for EMV now, while the technology is just catching on. Charge.com Payment Solutions, Inc. has been rated the #1 merchant account provider for more than 6 years running. If you want to accept credit cards online or in store, sign up with Charge.com.